It is not often that I will do a post about a specific product, unless I am reviewing it. 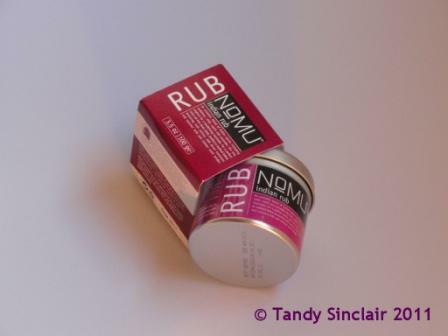 However, Le Creuset gave me this NoMU rub when I purchased an item from them, as well as a recipe card to go with the rub. I would not ordinarily buy a rub, as I have a spice drawer full of all lovely things, but this is one spice rub I am going to use over and over again. It has a great balance of flavours. Sadly, this is the second recipe I have followed from the series that has not worked out 100%. It may be to do with the fact that I altered this one slightly to suit my ingredients, or it may have to do with the fact that I don’t have a regular oven. What I can tell you is the flavours are great, and Dave and I used the left over sauce for another dish, on another night. I love curry and am so glad I managed to eat a few in London otherwise I´d be having mad cravings right now. Actually, I do feel a craving creeping up on me! It’s a pity when a dish doesn’t turn out like you were hoping. Great ingredients and flavours though. This sounds wonderful – I like the NoMu products! Vegetarian curry and brown rice was on my menu this week…couldn’t resist it! 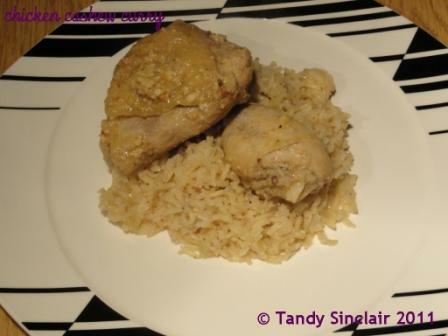 Nothing like a spiced up chicken leg…delicious! You are really putting me in the mood for curry! If something has both curry AND cashews in it, I won’t say no. A favorite combo of mine. Hi, where on your blog can I read regarding your challenges?